Baba is You is a very inventive logic based puzzler where you move words around on the screen to reprogram the properties of the objects in each level. 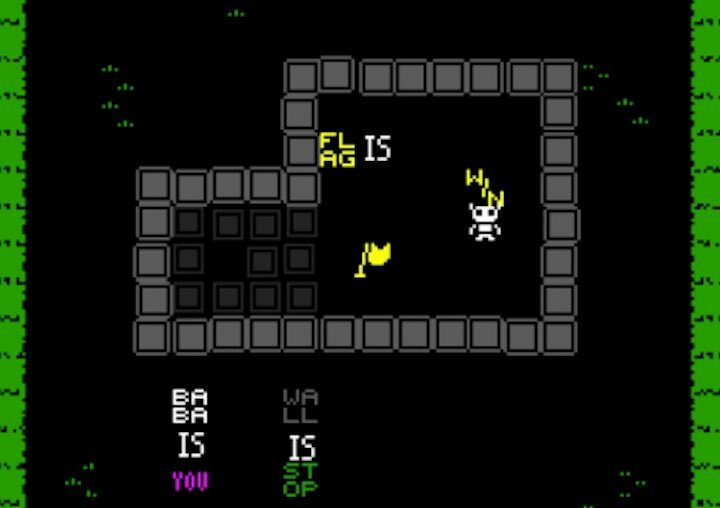 The full version of Baba is You has recently been released to (quite rightly) massive critical acclaim, but if you fancy checking out where Baba began then you’ll really want to check out the original game jam version too. The game jam build was created for the Nordic Game Jam in 2017 and features 13 cleverly crafted levels where you reprogram the properties of objects in each level to help you complete them. In each level of Baba is You the properties of everything on the screen is defined by simple three word statements such as “Wall is Stop” or “Flag is Win”. You can push the words around (as in a Sokoban game) though, to rearrange the statements and change the properties of the objects – so, for instance you could change “Flag is Win” to “Wall is Win”, so you only have to reach a wall to pass the level.